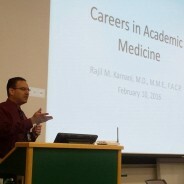 On February 10, Dr. Karnani came to East Lansing to speak to the students in the MSRJ Elective about careers in academic medicine. Dr. Stephanie Watts, professor of Pharmacology and Toxicology at MSUCOM, spoke to MSRJ elective students about scientific communication and publishing. Dr. Henry Barry, professor in the Dept. of Family Medicine and Associate Chair for Academic Affairs at MSUCHM spoke to MSRJ elective students about peer reviewing and evidence-based medicine. Dr. Janet Osuch, breast surgeon and Assistant Dean of Preclinical Curriculum at MSUCHM, spoke with MSRJ elective students about experience publishing research and handling difficult feedback. 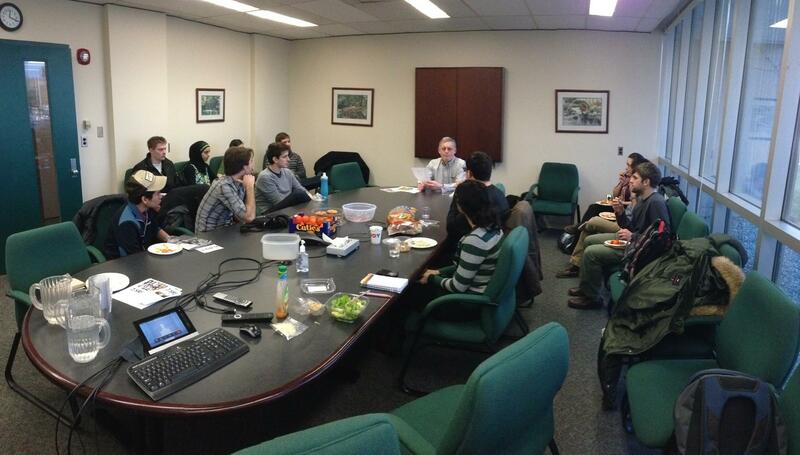 It’s the first meeting and our “Introduction to MSRJ” Elective is off to a fast start! Dr. Solomon, an author and expert reviewer and editor gave the elective members experience driven advice on February 13th, 2013.